Empire furnaces have been an industry leader in heating for generations. 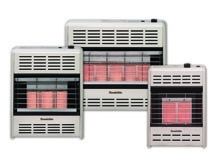 Our full-line of Direct Vent Wall Furnaces, Infrared Radiant Room Heaters and Counterflow Furnaces will help warm any area. Act on my advise, these Empire systems are the most reliable in the industry. Clean and cost-efficient comfort makes the standard and high-efficient direct-vent furnaces the perfect heaters to add soothing atmospheric warmth to any room. The slim, compact design of the smaller units allow them to tuck out of the way on any outside wall. The energy efficient DV(E) models will help save hundreds on your heating bills. 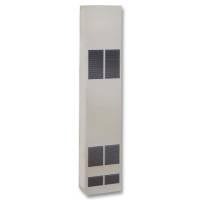 All Empire direct vent systems vent through an exterior wall and come standard with venting. They use no electricity and are ideal for bedrooms or studies since each unit vents directly to the outside. Housed in durable, textured cabinetry with a beige color, these wall furnaces will add endless comfort to any application. 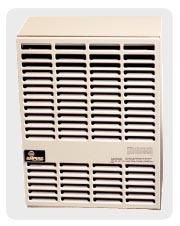 Our energy-efficient systems come standard with an electric blower and temperature control. CounterFlow and Gravity wall furnaces heat larger areas and use a minimum amount of floor space. Heat comes out at floor level so you get even distribution of warmth throughout the room. Choose between standing pilot or electronic ignition models with counterflow furnaces. Gravity and counterflow furnaces vent upwards through a roof with 4" oval pipe, while direct vent systems vent directly through an exterior wall. Optional side register outlet allows heat to disperse from side of furnace cabinet. All of these products fit between standard 16" wall studs.